A friend was discussing with me the best eatery to patronize come Valentine’s Day next month. Frankly, Valentine’s Day has gotten too commercialized and everything costs way more money than previously. Inflation? You bet! I was telling her the best way to avoid the cost is to prepare her own Valentine’s Day dinner. And I have just the right website for her to “snag” some Valentine’s Day recipes! The Holiday Spot has a very good Valentine’s recipe section and they have placed their collection of Valentine’s recipes very well into eight different categories. The saying that the way to a man’s heart is through his stomach and it is so true. I believe that if you prepare these recipes for love and with love, you will see amazing results. This entry was posted in Freebies and tagged free recipe, free recipes, recipe, Recipes, Valentine's, Valentine's Day, Valentine's Day recipe, Valentine's Day recipes, Valentine's recipe, Valentine's recipes, VD on January 26, 2009 by Cyberpartygal. Although I love to cook, I find it increasingly hard to cook for pleasure. What I do now is to gobble up whatever food that is laid in front of me. I don’t have the time to enjoy food anymore due to work pressure and all the deadlines to meet. However, the rare occasions will find me digging up old recipes to try out but I recently found free downloads of video recipes by S&W, the Australian [I think] manufacturer of Real Mayonnaise. I could download these videos and sync them to my Apple iPhone can carry them with me. For people who prefer text recipes over video [visual for me anytime, please! 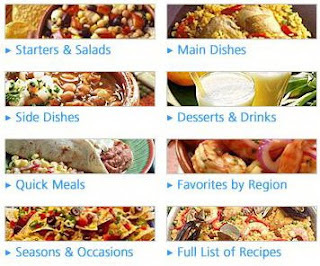 ], they can download all ten of these recipes in .pdf format. Whatever you choose, I believe that you will enjoy these recipes like I did. This entry was posted in Recipes and tagged mayonnise recipe, mayonnise recipes, Real Mayonnise, recipe, Recipes, S&W, video recipe, video recipes on January 15, 2008 by Cyberpartygal. Christmas is just less than a week away and I am sure many of us are busy wrapping up the gifts. I found this website of Crisco that has a full page of printable gift tags. They are so lovely, I just feel like printing them all out!!! These printable gift tags are suitable for Christmas, New Year, Valentine’s Day and also parties. I think that if you are going to print them out, make sure that you are using good quality printing paper and ink that will not smudge. I use Dura-Brite ink that doesn’t smudge even if the newly printed paper has gotten wet. On this website, besides these gift tags that you can print out for free as many as you wish (note: all of them have the Crisco logo), you can also find recipes of delicious cookies. Yummy! This entry was posted in Printables, Recipes and tagged cookie recipe, cookie recipes, free cookie recipe, free cookie recipes, free gift tag, free gift tags, free printable gift tag, free printable gift tags, printable gift tag, printable gift tags, printable tag, recipe, Recipes on December 20, 2007 by Cyberpartygal. In one of my previous posts, I was talking about going on a vegetarian diet. Coincidentally, I stumbled upon this great website that has a wealth of recipe information on cooking vegetarian dishes. VegCooking, as it is called, also has a TV program, and it has plenty of recipes to help people make a smooth transition to an exclusive vegetarian diet. While I do not normally have time to cook, when I do take the trouble, I would still want something that is simple to cook and not take up too much time. Checking out sites like VegCooking has helped me to expand my recipe database and it is most useful when I am in the mood to cook. I may not be a pure vegetarian but there are days when I observe a vegetarian diet and the recipes here sure come in handy. This entry was posted in Freebies and tagged recipe, Recipes, veg, veg recipe, veg recipes, vegetarian, vegetarian recipe, vegetarian recipes on August 22, 2007 by Cyberpartygal.